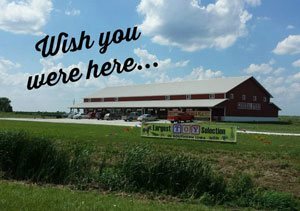 We fully guarantee each product purchased at Dutch Country General Store. If you are not satisfied for any reason, please call 641.722.3678 and we will refund you 110% of your purchase price, plus shipping. © Copyright 2019 Dutch Country General Store a div. of Dutch Country Living, LLC. Developed by Hill Productions & Media Group, Inc.